We found ourselves in Panama City when we had a long layover on our flight from US to Costa Rica. With more than five hours to kill, we decided to check-out the most interesting sights this city had to offer. We found a city-tour outside Panama City airport which suited our needs. They provided a cab, a driver who acted as a tour-guide and took us to five spots within the city, including the Panama Canal. Our first stop was at a mall where we had lunch before we started the city tour. It was a regular mall, no fancies, but it dispelled any notion I may have had about Panama being a developing country. The general vibe of the area was very hip and trendy. Since it was the holiday season, I saw a huge Christmas tree set-up as well. We ate seafood for lunch, and it was exactly like mall-type food. Not bad, but meh. Next, we stopped at Panama Canal, which is truly one of the most brilliant engineering works of humankind. Panama Canal was constructed to make it easier for ships to travel from west of the United States to east of United States and across the Atlantic. Ships making the journey prior to construction of Panama Canal had to go all around to the South of Americas and come back up - which is a lot of distance. 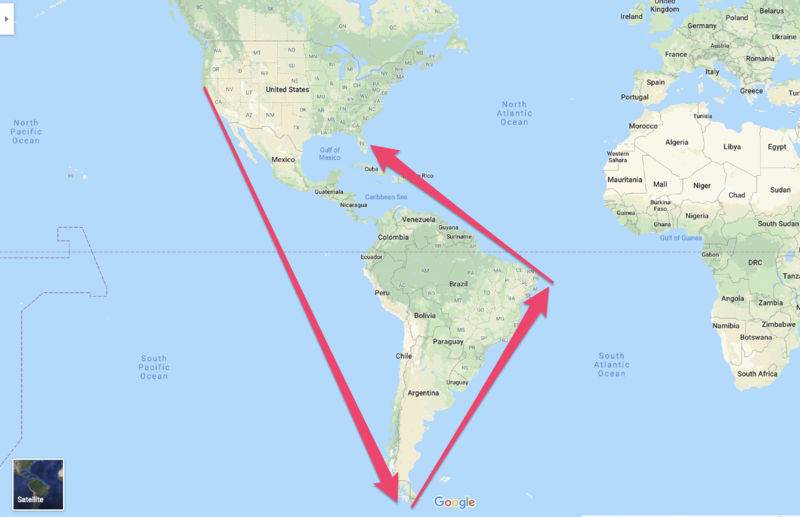 For a ship that needed to go from San Francisco to Miami, imagine it going down all the way from USA to Mexico to Chile and coming up the other way next to Argentina and passing through all of South America and Latin America to eventually dock at Miami. Long and circular way, right? 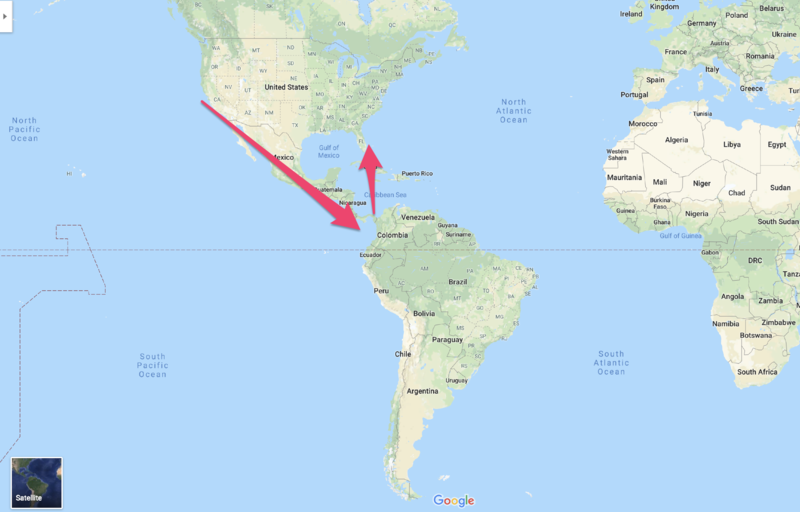 Today, the canal is a good revenue generating project for Panama, all ships passing through it need to pay a toll, which costs at-least $800 per-ship. I'd say visiting Panama Canal is a must-do for anyone interested in engineering. We didn't get to see a ship go through the locks up-close since we were running out of time, but still managed to learn a lot about this project from the museum there. It's very impressive. Our next stop of the day was at a market to see hand-made art made by local artists. After admiring the art and purchasing a couple of souvenirs, we moved along to see a viewpoint of Panama downtown from afar. Skyscrapers always look good from afar, but to see the scale of the downtown was exciting. It was a lot bigger than what I expected, and great for selfie-snapping! This man-made view-point was constructed by dropping rocks extracted during the excavation of Panama Canal onto the sea and paving a road on top of it, so there was a way for people to appreciate the skyline view from afar. That is some dedication <claps>. We moved on to more interior parts of the downtown, where it was more rustic, and decidedly unglamorous. Our guide mentioned that Angelina Jolie and Brad Pitt loved eating sea-food at one of these non-descript restaurants. Don't quote me on that, but yay for name-dropping :). Anyway, we checked out great views of the tall skyscrapers from here too and indulged in selfies. Soon after, we had to head back to the airport for our flight to Costa Rica. My biggest takeway from the 5 hour trip was that I needed to come back to Panama again, and explore more of what it offers, including the cuisine. If you have limited time in Panama City - go to Panama Canal and be wow'ed by the scale of human imagination and achievement. That's my 2 cents! Related: Layover in Singapore? Here's what you can do. Side Note - We used USD during our time in Panama City and didn't have any issues. Vendors everywhere from malls to local crafts-makers to Panama Canal authorities accepted it as though we were in USA itself. A lot of expatriates from USA live here, so USD is widely-accepted. What are your favorite airport layovers? How did you spend the time?